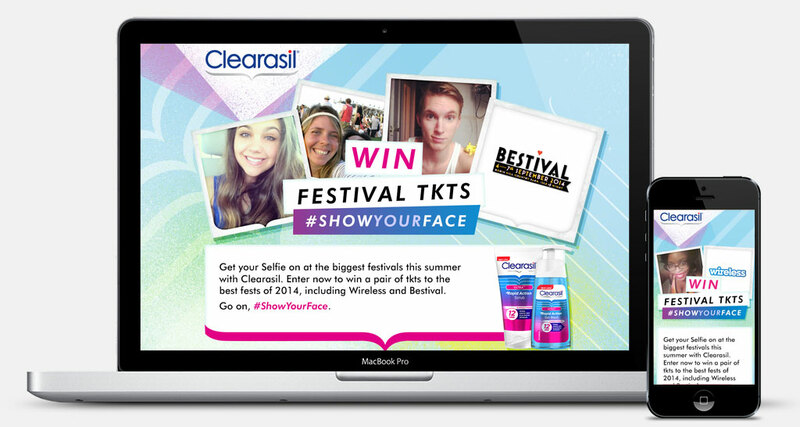 Clearasil Show Your Face: Clearasil wanted to appeal to a young, socially connected, tech savvy consumer and tasked TMW with establishing an idea for this. Show Your Face was a campaign that centred around the trend of selfies. 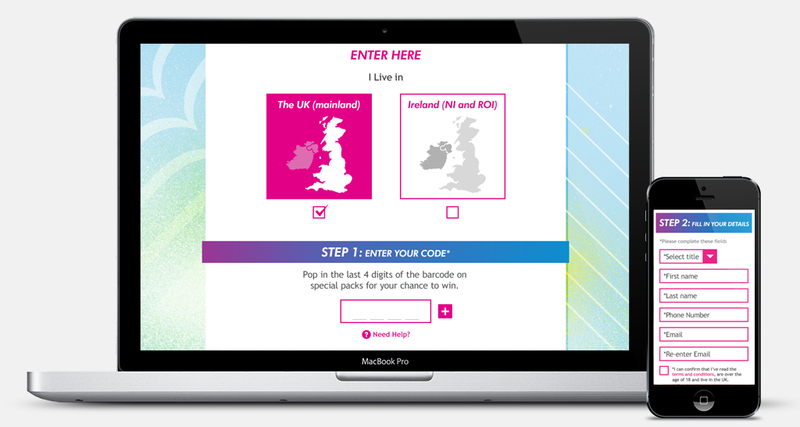 This inital phase was a microsite where consumers could enter a product code to win prizes. Later stages of the campaign included a Selfie Face-Off at Westfield Shopping Centre. My involvement: Working from an established key visual I designed a progressively disclosing microsite where consumers could enter their pack codes for the chance to win prizes. This site was fully responsive and behaved differently for users in the UK and Ireland. The decision to create a progressively disclosing form was to encourage entries and make the entry mechanic appear less daunting. User experience was key in the design process, especially for mobile versions where it was imperative that elements were large enough to interact with, whilst fitting relevant pieces of information onto the screen at any one time.